🚨 New: Axios interviews Tim Cook, Elon Musk and Bill Gates in tech-heavy final two episodes of "Axios on HBO," airing the next two Sundays at 6:30 and 11:30 p.m. ET/PT. Jared Kushner brought the president a long way to get his support. 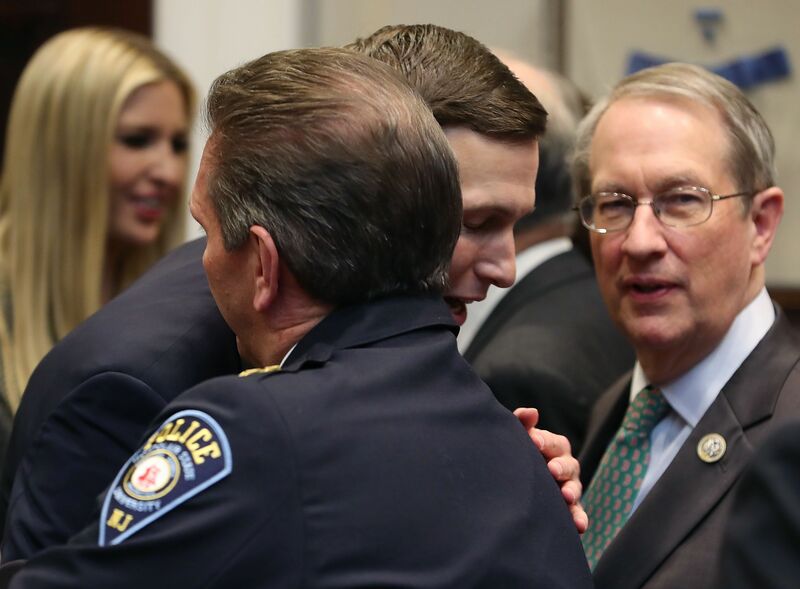 Criminal justice reform was not what Trump ran on — quite the opposite — and it’s been a huge effort from Kushner and allies to get Trump to this point. 3. Facebook's year: "Delay, deny, deflect"
"Bent on growth, the pair ignored warning signs and then sought to conceal them from public view. At critical moments over the last three years, they were distracted by personal projects, and passed off security and policy decisions to subordinates, according to current and former executives." 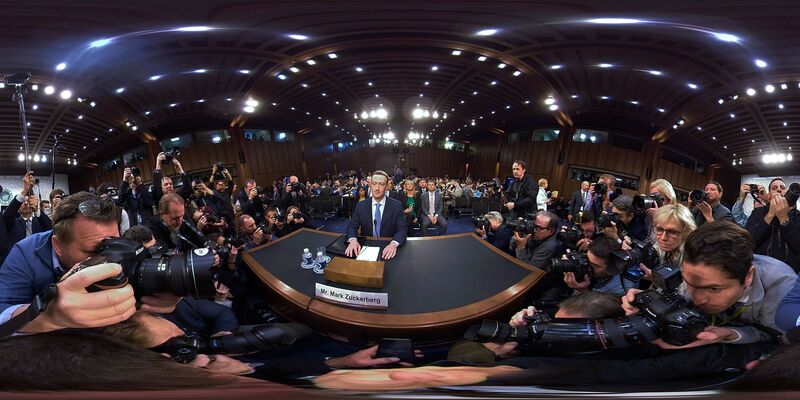 Privacy criticisms by Apple CEO Tim Cook "infuriated Mr. Zuckerberg, who later ordered his management team to use only Android phones — arguing that the operating system had far more users than Apple’s." When Sandberg testified before the Senate Intelligence Committee in September, she "spread neatly handwritten notes on the table before her: the names of each senator on the committee, their pet questions and concerns, a reminder to say thank you." "In large letters were her stage directions: 'Slow, Pause, Determined.'" From left ... 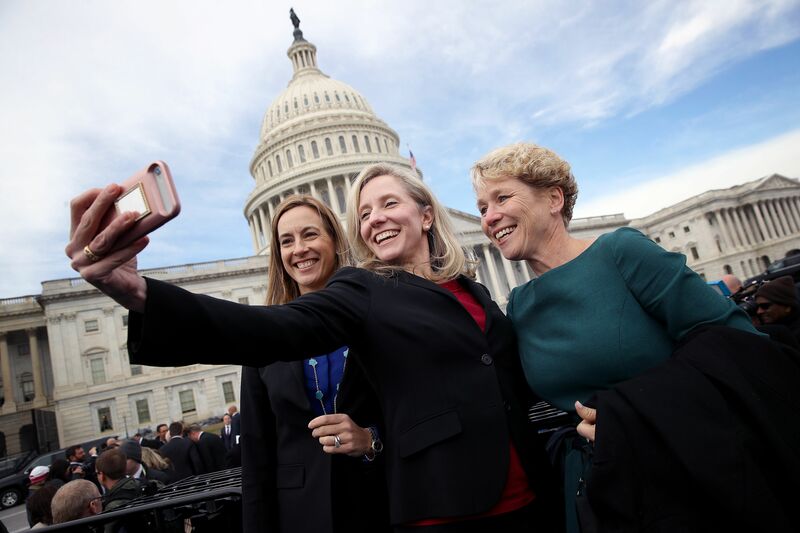 Newly elected House members Mikie Sherrill (D-N.J.), Abigail Spanberger (D-Va.) and Chrissy Houlahan (D-Pa.) take a selfie following an official class picture for new representatives, who are on the Hill for orientation. Sherrill is a former U.S. Navy helicopter pilot and federal prosecutor. Spanberger is a former CIA officer. Houlahan is a former Air Force officer. 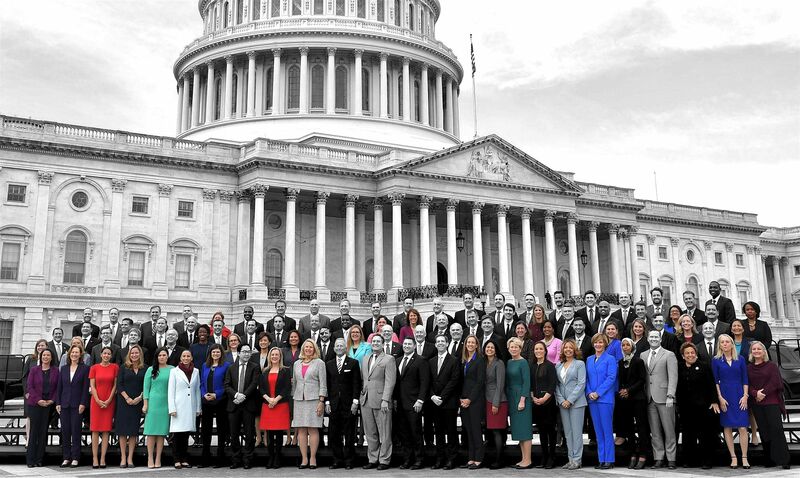 The design team at Quorum Analytics put together a photo edit of yesterday's freshman class photo of members-elect of the 116th Congress, doing a color-isolate on all the newly-elected women (above) and men (below). "House Democratic leader Nancy Pelosi ... faced solid opposition from at least 17 Democrats and encountered a significant bloc of undecided women in her bid for speaker, setting the stage for an intense battle over who will ascend to one of the most powerful positions in Washington." "Counsel, Committee on Oversight and Government Reform ... Ideal candidate will be an attorney with several years of investigative or litigation experience. Responsibilities include depositions, transcribed interviews, briefings, and congressional hearings." The Food and Drug Administration today will announce a series of actions aimed at cracking down on youth vaping, despite e-cigarette maker Juul's last-minute effort to self-police, Axios' Caitlin Owens reports. After years of warnings that flavored e-cigarettes appeal to young people, data finally drove the point home, prompting a Republican administration to move forward with an especially tough regulatory crackdown. A ban on sales of most flavored e-cigarettes in most retail settings, along with age-verification rules for online sales. Be smart: Both of these ideas have been pushed before, both by public health advocates and some Democrats. But new data showing a 77% increase in e-cigarette use among high school students between 2017 and 2018 prompted the FDA to act. Explaining the choice, Oxford University Press said toxic became "an intoxicating descriptor for the year’s most talked about topics." "According to the International Monetary Fund, the global economy is on track to grow a healthy 3.7 percent in 2018" and 2019. "The contrast between the negative daily buzz and positive underlying conditions is sharpest in the U.S., where the expansion of the world’s largest economy has actually strengthened as it’s lengthened." "The global economy has hit a soft patch, putting the U.S.’s robust growth at risk should the slowdown persist." "China, Japan and Germany show signs of stress, posing a risk to the U.S. should the trends persist." 9. "The seminal event of the 21st century"
"But longevity alone will not transform senior housing, an industry that experts warn is about to experience a revolution for which it is ill prepared." "The Census Bureau projects that in 2034, for the first time ever, people 65 and older will outnumber those under 18." "A similar demographic shift is underway around the globe, and no one seems to have a solid plan for addressing it." 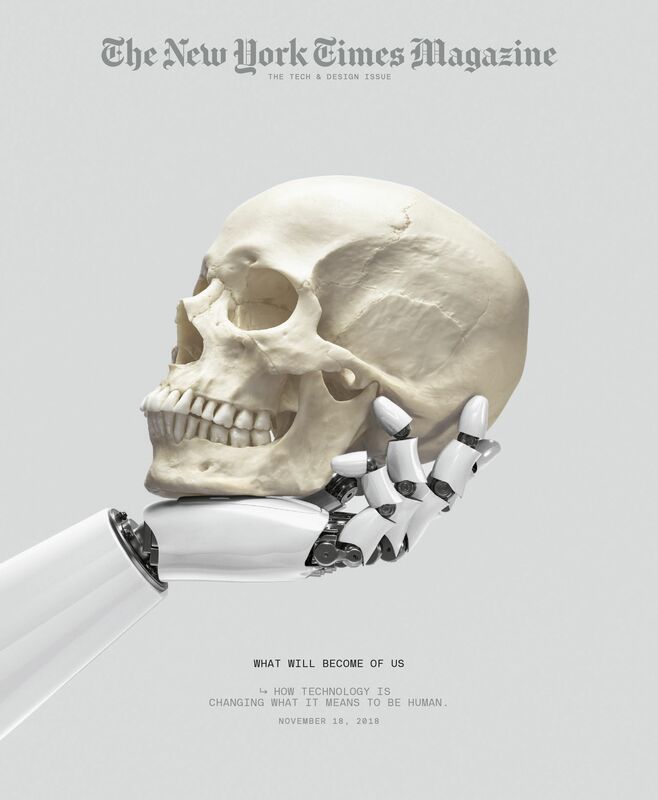 Behind the cover ... Gail Bichler, design director: "We liked the idea of a robot hand holding a human skull for its reference to 'Hamlet' and the humor of a robot's contemplating the future (or is it the past?) of humans." 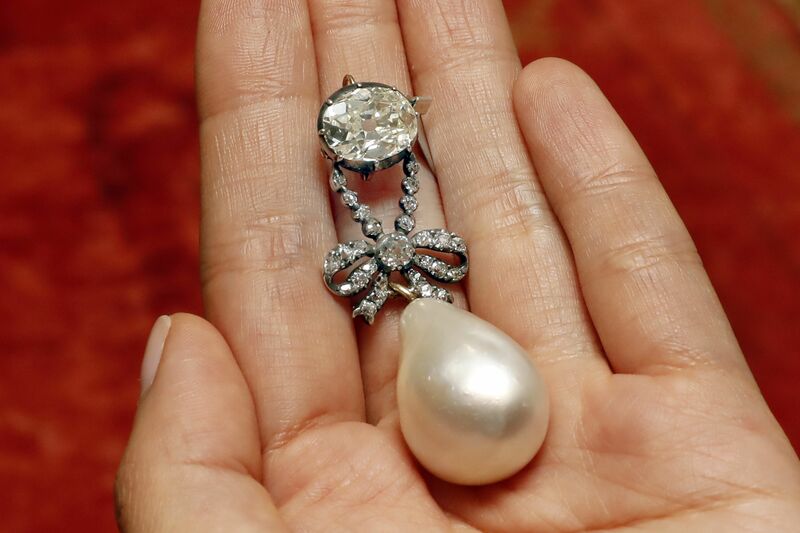 "The 'Queen Marie Antoinette's Pearl,' a diamond-and-pearl pendant, was among the highlight offerings on the block at the Sotheby's sale of jewelry from the Bourbon-Parma dynasty in Geneva." "Sotheby's billed the sale as a once-in-a-lifetime chance to scoop up heirlooms and jewels that have been held in the Bourbon-Parma dynasty for generations." "Some of the Marie Antoinette jewelry hadn't been seen in public for 200 years." Why it matters: "The diamond and pearl jewelry of Marie Antoinette that went under the hammer epitomized the aloof, pre-Revolutionary opulence of French royals brought down by the uprising. The wife of King Louis XVI, she was executed in France's revolutionary fervor in 1793." "Before falling to the guillotine, she had secretly smuggled abroad some of her most treasured possessions to her relatives amid rising the revolutionary fervor that ultimately marked the beginning of the end of France's centuries-old monarchy."